When the disastrous earthquake of April 25, 2015 struck Bethanchok village of Kavre district of Nepal, many houses in the community were damaged. As a result, families started living in makeshift shelters built next to their damaged houses. Their living conditions were very difficult with limited space and no protection from heat, cold, damp, and wild animals. In the spring of 2016, Build Change started to promote retrofitting as an innovative and cost-effective method to seismically strengthen earthquake damaged houses to the community, thus making them safe, while maintaining their original appearance and size. Let’s hear from three homeowners whose houses were retrofitted in the village of Bethanchok through Build Change’s technical assistance. Brinda Timilsina is a mother of three and a grandmother of two. 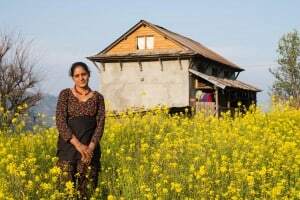 Her family depends on subsistence agriculture for their livelihood and it is very hard for them to make ends meet. There were severe cracks and damages in her house after the earthquake, but luckily it did not fall down. When Build Change started its retrofits in the community, she became the first homeowner who approached and agreed to seismically strengthen her house. 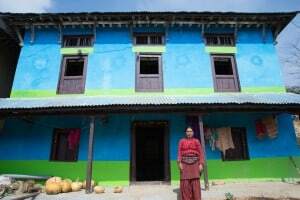 Her house was retrofitted in 8 weeks, and 9 local builders were provided with on-the-job training in the process. Urmila Dahal, lives with her husband and young son. Her husband, who was overseas for employment, recently returned due to difficult financial and living conditions abroad. The family is marginalized with a small landholding and a limited source of income. Min Prasad Nepal is 59 years old and lives with his wife, three daughters and one grandchild. The family depends on agriculture for livelihood, which is hardly sufficient to meet their daily expenses. 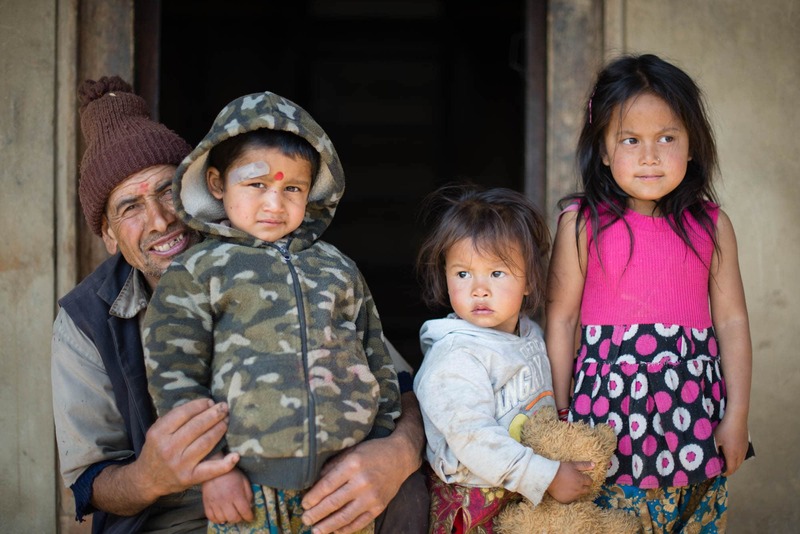 After the earthquake, Min had a huge responsibility for reconstructing the house and providing a safe shelter for the family, but he had no idea and financial resources to build a new house. So he sought Build Change’s technical assistance and was very happy to know that his house could be made safe, strong and suitable to live in again through retrofitting. His house was retrofitted in six weeks while providing on-the-job training to 7 local builders.